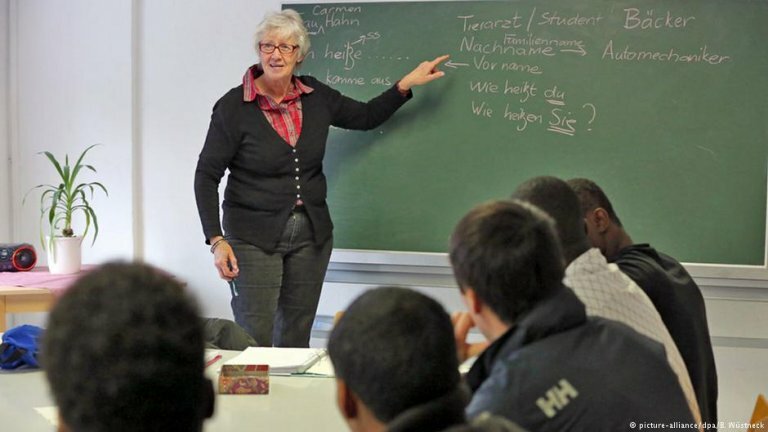 The number of immigrants in Germany who fail to complete their integration and language courses rose significantly in 2018. Some political parties have pointed out that these failed measures cost taxpayers hundreds of millions of euros. In 2018, the number of those that failed their integration and German language courses was higher than those who succeeded, with 51.5 percent of all 172,471 course participants failing to make the mark. In 2017, that percentage stood at 48.3 percent of a total of 238,807 participants. In 2016, nearly 56,000 out of the 148,173 immigrants enrolled in these courses failed to complete their courses at the expected "B1" (upper intermediate) level (almost 38 percent). Further statistics revealed that the number of those who failed repeated courses had also risen in the last three years. The numbers came after the anti-migrant right-wing Alternative for Germany (AfD) party submitted a parliamentary information request to the Interior Ministry. Authorities consider reaching "B1" level a signal of successful integration. A spokesperson of the Interior Ministry told the Neue Osnabrücker Zeitung newspaper in light of these findings that failing to reach the "B1" level should not be seen in absolute terms. He pointed out that many of those who embarked on integration and German language courses lacked even a proper primary school education, adding that in such cases, completing the "A2" level should be seen as a "noteworthy success." The AfD meanwhile pointed out that hundreds of millions of euros of taxpayers' money were spent on such measures.